Located outside of Verona in San Bonifacio, Simone Padoan and his team at i Tigli are working very hard to make some of Italy’s finest pizza. And their version is by no means street food. 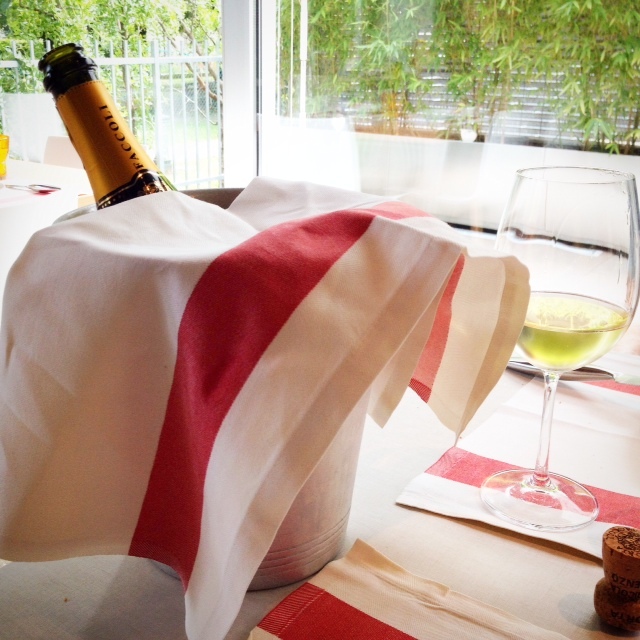 Guests are invited to sit down to an upscale, well-pressed, red and white kitchen towel in place of Italy’s clichéd, checked (and usually plastic) tablecloth. 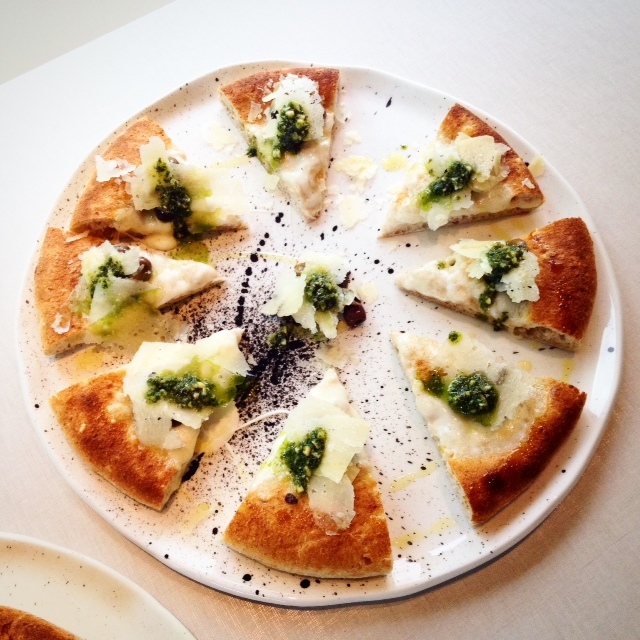 Call it “gourmet,” “highbrow,” or “fancy” if you like, this pizza is not to be ignored. I Tigli’s take on pizza is a slow-rise focaccia that acts as canvas on which to juxtapose a myriad of thoughtful flavors, colors, and textures. Each bite is well-defined and evocative of Italy’s landscape and seasonal bounty, notably coming from researched and sustainable produce of superlative quality. Padoan’s mission to create the most superb dining experience is supported not only by the food itself but by the design of the space. It has a way of conveying the level of dining experience the guest should expect. The lines of the place are clean, modern, and inviting with pleasant subtly and transparency, including a kitchen that is just as open, airy, and spacious. I always make it a point to order at least two pizzas, one of which is almost always a Margherita. I Tigli handles Italy’s this iconic dish with almost palpable consideration. Offering four takes on the classic pie, each is defined by texture and type of cheese. It is the leavening, however, that determines the final result. The options are either “classica,” “soffice,” (soft) “croccante,” (crisp) or “bufula” and the tomatoes are always the preferred San Marzano from Campagna. For the cheese there is a choice of a surprisingly tasty fior di latte from Alberobello (Puglia), DOP Mozzarella di Bufula from Paestum, (a town in Campagna that is known for being home to the nation’s five top producers) or burrata. Provenance is usually noted on the menu, an element that has only more recently become more present in Italy. The staff is also trained to speak to all aspects of the menu, including, of course, their eclectic, natural-minded wine list. 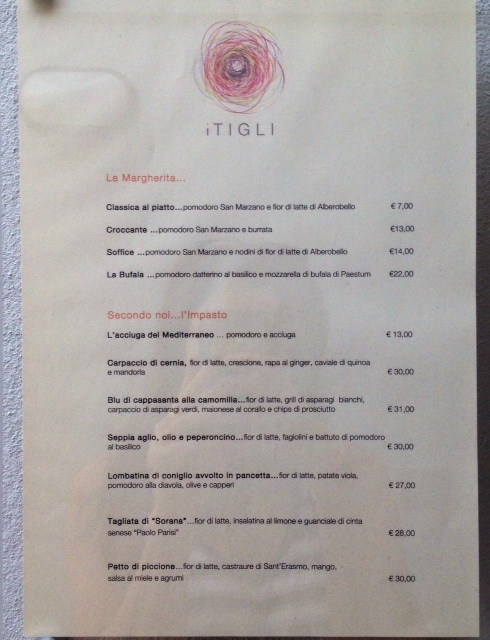 Quality, seasonality, and a creative spirit go without saying at i Tigli. Radicchio di Treviso would never appear before the end of November and, likewise, white asparagus would only find its rightful place on the menu at the beginning of March. Along with the intense consideration for seasonality is an appreciation for the colors that various times of the year have to offer. Known for its visually striking pizzas, the featured delicacies contrast color and textures intelligently and tastefully, making it difficult not to notice of their artistic rendering as they are placed on the table. Also making an impression on the palate are some unlikely encounters of savory and sweet. In the same bite Padoan isn’t afraid to offend (Italian) customers by mixing fish and cheese or even propose other culinary influences, such as those of Thai or Japanese origin. Nothing is to be taken for granted on (and off) the menu. Whether Padoan and i Tigli are truly embraced by their clientele, it’s not absolutely apparent, judging from some of the rather scathing reviews posted online. It’s true that i Tigli is not inexpensive by any standard. But their prices not only reflect the cost of ingredients and attention to detail, but more their chosen risk to do things a little differently. In doing so they also petition their customers to think differently about pizza. 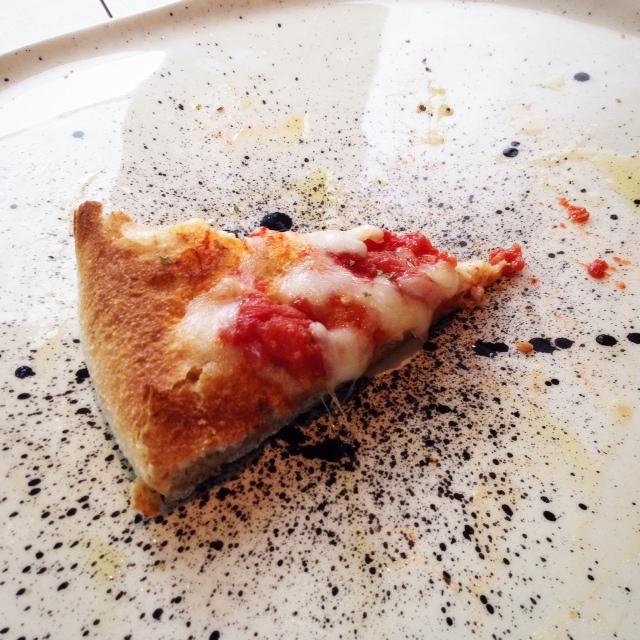 Certainly there’s room for fancy pizza alongside the slice joint, right? Given Italy’s lagging economy and its increasingly migrating talent, lamenters should delight in the fact that a food luminary such as Padoan still exists within Italy’s borders and stop complaining about his prices. Cheap, mediocre pizza is available everywhere in Italy and it doesn’t take much research to find it. 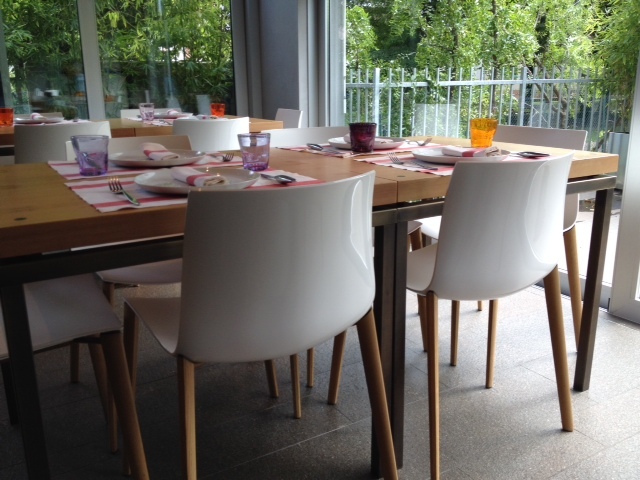 Be sure to call ahead to book a table for dinner or drop by for an impromptu lunch until 14:30 pm. 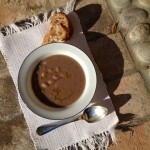 Fasioi: Veneto’s Refined Bean Soup Recipe with Borlotti Beans BAR MEZZANA Opening 6/1 – Drink these Giannoni wines!